Hoping to appear relevant, businesses love to invoke AI in their marketing every chance they get — but not everyone is impressed. When the hype gets out of control, facts get lost in the haze and the real promise of artificial intelligence regresses into a sci-fi version of snake oil. As a result, companies — including those most likely to benefit from AI-driven solutions — are starting to doubt the claims of vendors plugging their wares. 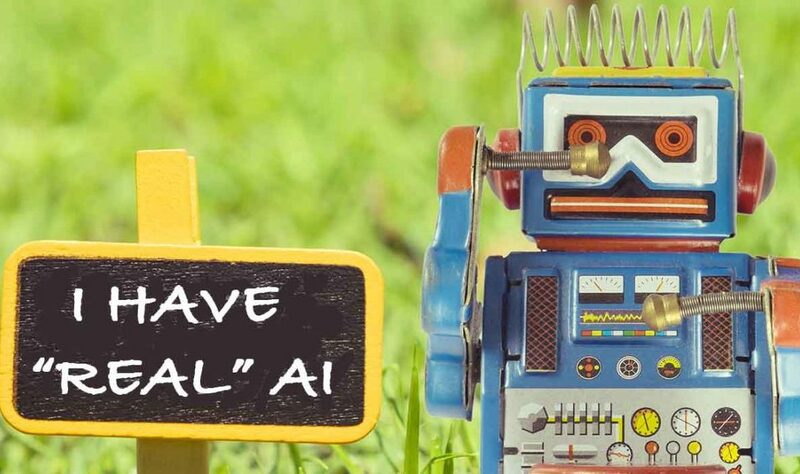 On the opposite side, marketers tasked with communicating the business utility of their AI products are left with a disinterested or distrusting audience. Conventional tactics such as customer testimonials have their uses — but only up to a certain point. Textio, a predictive writing platform used in talent recruitment, relies on videos, case studies, and co-branded events with customers like Johnson & Johnson, Vodafone, and Nvidia to demonstrate their business value. However, customer testimonials aren’t universally applicable. If a client in a competitive industry sees your solution as a true differentiator, they obviously won’t rush to tell everyone about it and might even ask for non-disclosure agreements (NDAs). An earlier-stage startup may very well have exceptional technology, but lack the big name brands to publicly tout its virtues. To find other effective approaches, we talked with leading marketers and brand communicators who’ve employed unique strategies to stand out in an already saturated marketplace. You’ve probably heard companies brag about using “machine learning” and its trendy sub-field “deep learning”, but how many companies can you name that use “evolutionary strategies”? Artificial intelligence is comprised of many technical approaches, only a few of which are currently overhyped in the media. With more than 40 patents in artificial intelligence, Sentient Technologies leverages this fact to educate their customers about their unique approach to evolutionary computation for digital marketing, e-commerce, and finance. In evolutionary strategies (ES), a set of candidate solutions is provided for a given problem and evaluated according to a “fitness” function. The best performing solutions “survive” and the poorly performing ones “die” while increasingly better solutions are created in the next generation. “Unlike with deep learning, people intuitively understand how evolution works,” says Jeremy Miller, Sentient’s Director of Marketing. Another key benefit that Sentient touts is that, unlike supervised machine learning, which requires large volumes of clearly labeled data, evolutionary strategies don’t have the same dependence. The company uses ES in conversion optimization software that automates website testing with the goal of lifting conversion rates and driving revenue. Rather than use historical data, the product evolves designs based on live, real-time data. Plenty of talented PhDs and postdocs now work at promising AI startups, but how many of them can say they’ve deployed their algorithms on Mars? Deep space is the most unforgiving environment, with zero fault tolerance, limited space for hardware, and a need for autonomous operations. When Edward Yang, Managing Director at Firecracker PR, started working with Caltech startup Beyond Limits, they didn’t have any corporate use cases. Reporters were confused by early versions of their website and could not figure out what the company did. “Very technical founders are not always the best at communication,” says Yang, who opted for a more compelling storytelling approach. Now Beyond Limit’s technology is used in numerous sectors, such as energy, finance, autonomous vehicles, healthcare, and internet of things (IoT). While the NASA background certainly gives the company technical street cred, telling the story is not always easy. “Our biggest challenge is time,” Yang explains. “The best thought leadership comes from the scientists and the technical founders, but in a startup everyone is running in different directions.” Many employees also don’t like to write or aren’t good at writing, so Yang and his team prioritize spending time talking to sources and flushing out their technical expertise. You might be a savvy techie who genuinely understands and uses words like “neural networks” or “deep learning” in everyday conversation, but some people — including Protagonist’s early prospective customers — might find that uncool. “Protagonist started by trying to hammer home their unique technology by pioneering the buzzword ‘narrative analytics’, but this just wasn’t resonating with customers,” recalled VP of Marketing Damon Waldron. Talking about “narrative analytics” did not connect with buyers, so Waldron opted instead to position Protagonist against well-known, commonly used marketing tactics that his customers did understand. These included traditional market surveys, which are limited in scope and introduce bias, and social media monitoring tools, which are often quite shallow and don’t extend beyond positive or negative sentiment analysis. People rarely understand how enterprise software works just by staring at screenshots or reading spec sheets. Within the right context, personifying your AI-driven software can demonstrate the interactivity of your platform in a clear but friendly way. If this tactic results in clients finally seeing the benefits and understanding how your product works, the extra branding effort may be well worth it. 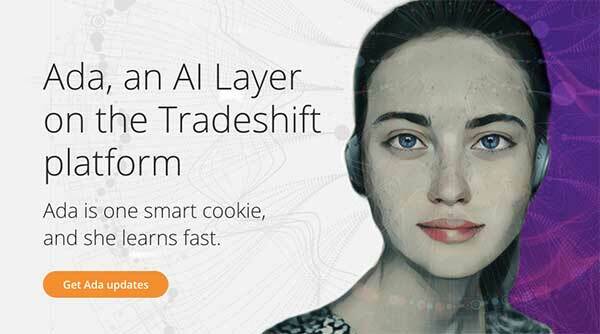 To overcome this “familiarity gap”, as Ahrens put it, Tradeshift personified their AI platform by putting a human face — Ada — to their solutions. Giving their technology a conversational persona enabled customers to interact with Tradeshift’s platform in a more natural, intuitive way and quickly grasp the business use cases. When customers go to make bulk business purchases, they can easily ask Ada for help finding the best prices in a category or ensuring they stay under their procurement limits. Ada also helps them analyze their spending behavior from past periods in a multi-dimensional way. A wide chasm exists between those who build AI technologies and those who buy it. Communicating with technical and marketing jargon will not only confuse customers, but also scare them away. In each of these unique marketing cases, success was achieved after tailoring conversations to the level of the customer by referencing concepts they already understand, like evolution or social monitoring or space missions, and by making AI approachable with friendly interfaces that clearly demonstrate important use cases.